New. Sewn binding. Cloth over boards. 1296 p. Contains: Illustrations. Audience: General/trade. U.S. EDITION. UNUSED INSTRUCTORS COPY SAME AS STUDENT COPY. SHIPPED PROMPTLY WITH FREE TRACKING. Very Good. Ship within 24hrs. Satisfaction 100% guaranteed. APO/FPO addresses supported. Sewn binding. Cloth over boards. 1296 p. Contains: Illustrations. Mindtap Course List. Very good. May have wear and/or stickers on the cover, highlighting, writing and/or underlining on the inside. Ships same day or next business day with tracking number. New. Sewn binding. Cloth over boards. 1296 p. Contains: Illustrations. Mindtap Course List. Cannot ask for more in a physics textbook. Copious amounts of examples, problems and explanations. Enjoyable and highly didactic at the same time. 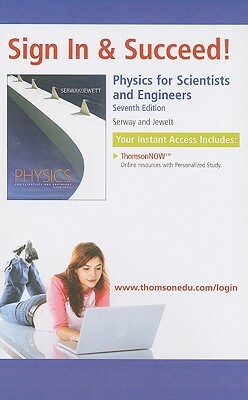 This book is very good for calculus based physics study. This helps for understanding the concepts and fundamentals of modern physics.